Send unique housewarming gifts and moving home presents. 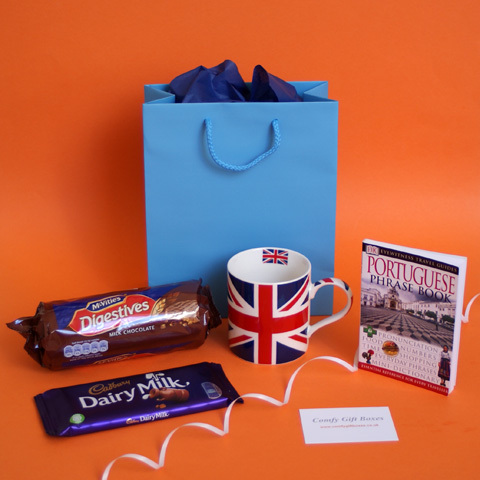 Remind your emigrating friends of home by sending a moving abroad gift basket or send the ultimate housewarming present - a moving day gift box containing moving day essentials including tea, coffee and most importantly - chocolate biscuits. 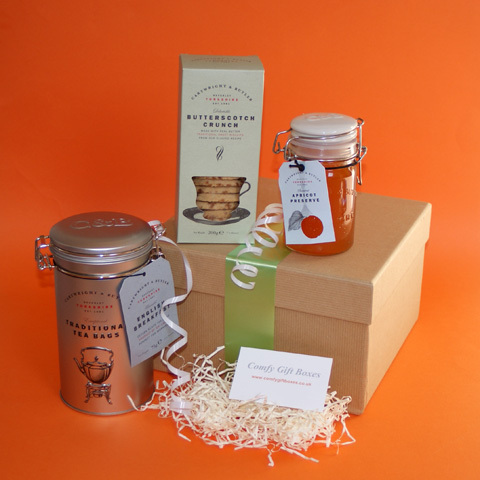 All our housewarming gifts can, of course, be sent for any occasion or for any reason, the Traditional Tea & Biscuits Gift Hamper is often sent as a get well soon gift! 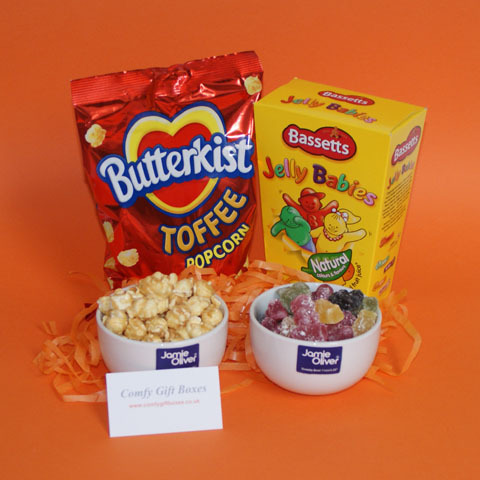 All housewarming presents include gift wrapping and are hand tied with luxury ribbon at no extra charge, then your gift is securely boxed with a personalised gift card ready to be delivered. Presented in a kraft gift box with matching lid tied with green ribbon. Make moving house a bit more pleasurable with some tea and biscuits. 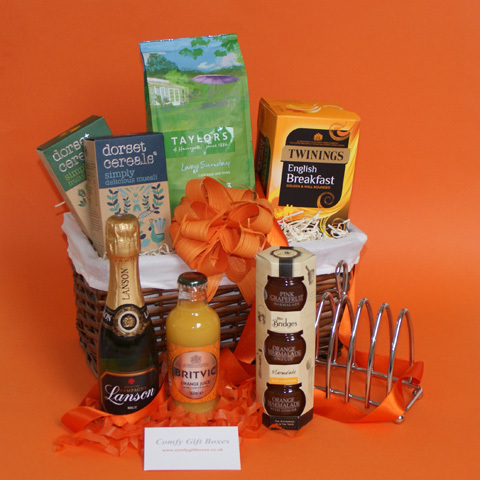 Presented in a lined, dark wicker basket, wrapped in cellophane with orange ribbon and a bow. What better new home welcome than a Champagne breakfast. A housewarming gift for the first game night in their new home. Wrapped in cellophane and tied with red ribbon. 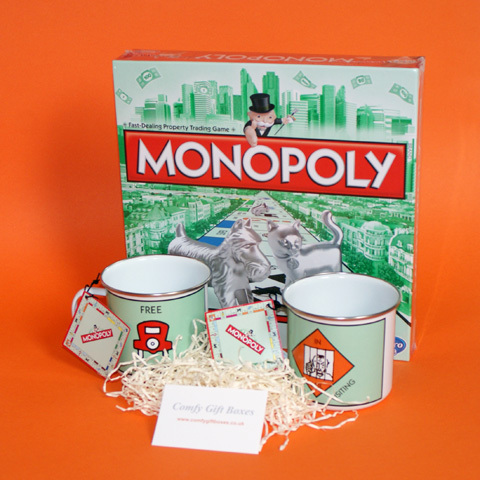 Send a housewarming gift of the classic board game every new home needs. 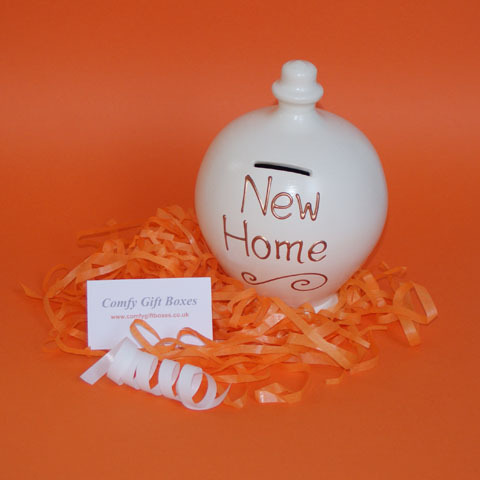 Help them save some money with a new home money pot gift. 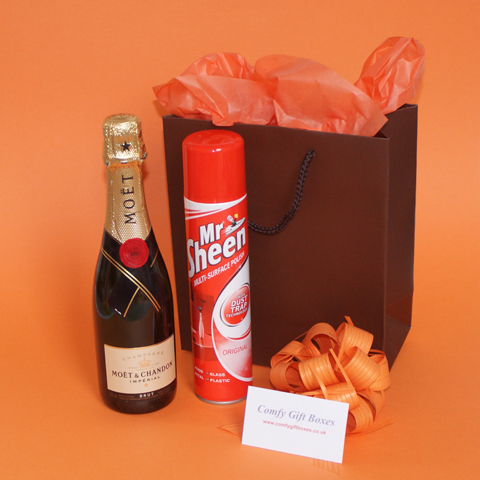 Presented in a white gloss gift box with lid, orange ribbon and a matching orange bow. 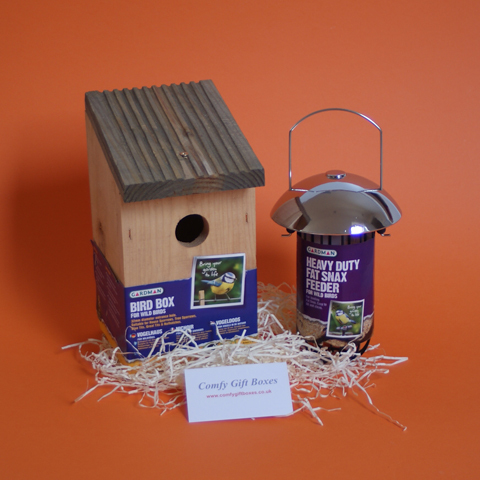 A sweet little housewarming gift for entertaining in their new home. Something for the new garden. Presented in a seagrass basket, wrapped in cellophane with orange ribbon and a bow. Every new home needs some nice fluffy towels. Relieve some of the stress of moving day by sending the best housewarming gift basket. 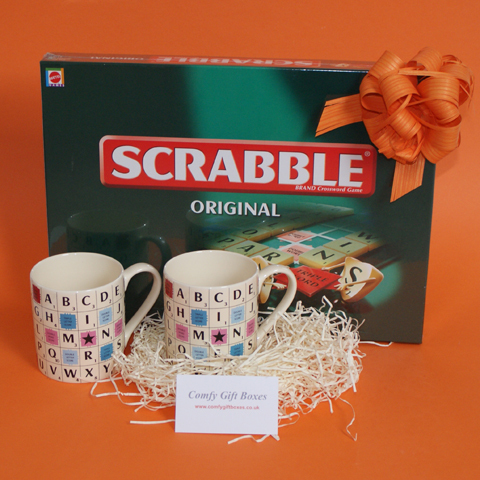 Presented in a large gold gift box with gold lining and a magnetic lid, bright orange ribbon and a matching bow. It is possible to smile when moving house with this extremely useful moving day gift box. 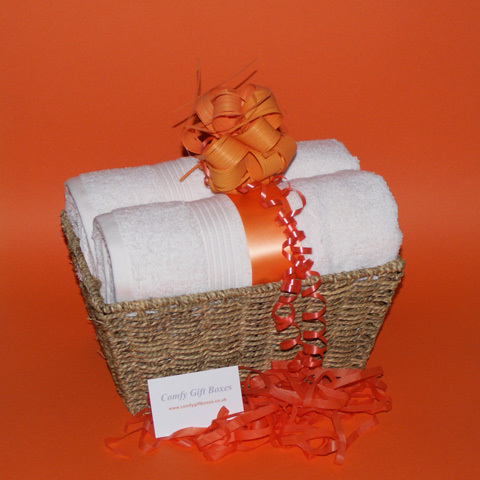 Presented in a large ivory gift box with a magnetic lid, lined with tissue paper finished with orange ribbon and a bow. 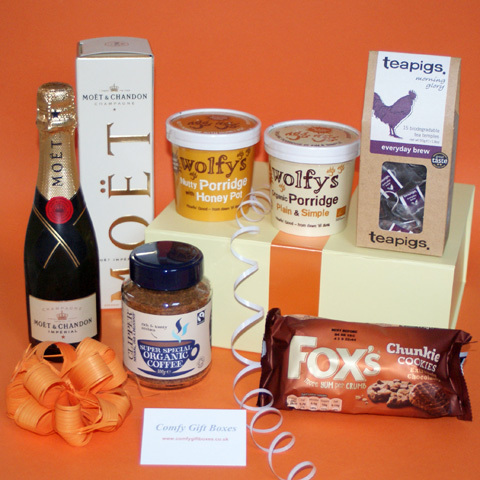 Send them breakfast with bubbles - happy housewarming! 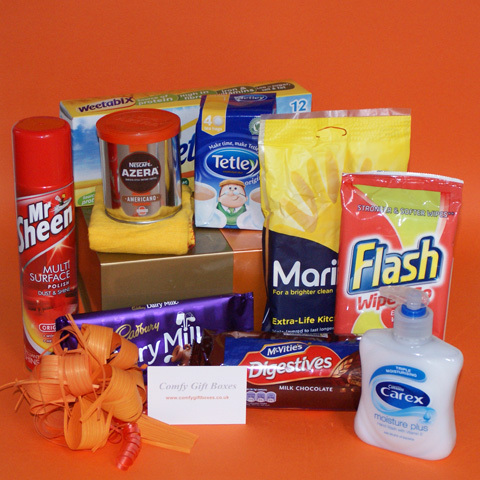 Presented in a cocoa gift bag with matching rope handles and bright orange tissue paper. A fun housewarming present to make them smile. 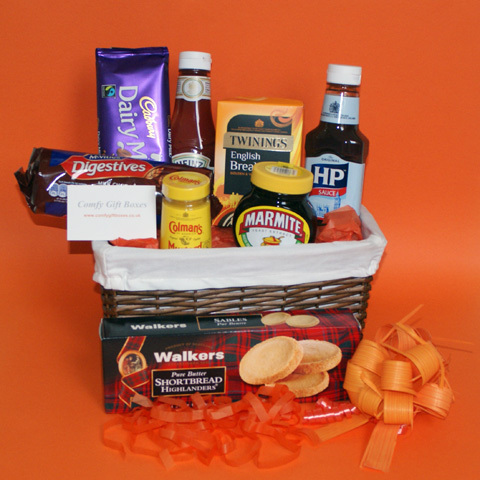 Presented in a lined, dark wicker basket, wrapped in cellophane with orange ribbon and a matching bow. 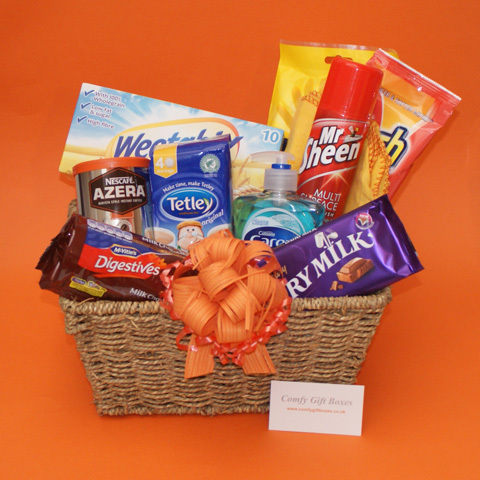 Remind them of home with this emigrating gift basket full of family favourites. Wrapped in cellophane with a bright blue ribbon and silver bow. 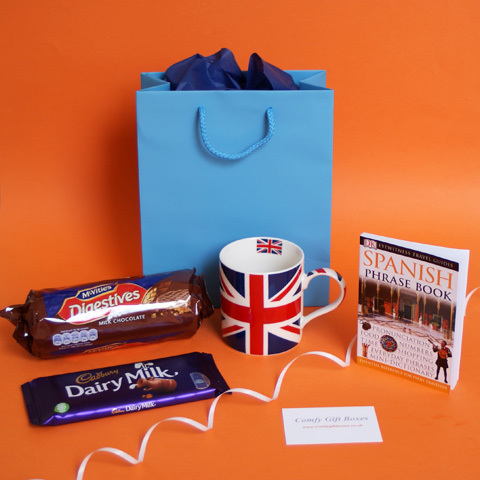 A fun Spanish house warming present for friends and work mates. 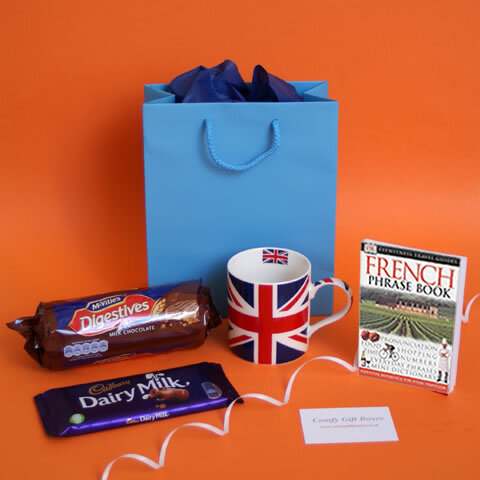 A little bon voyage present to wish good luck moving to France. 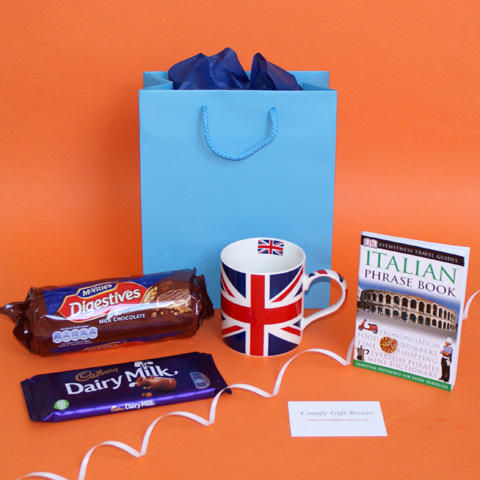 The perfect little emigrating to Italy gift bag. A great gift for people moving abroad for a new life in Portugul.